Hi! 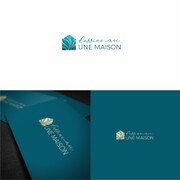 I'm freelance graphic designer specializing in logo design and brand identity. If you like my style, you can hire me directly via 1-1 project. "Goreta, was awesome to work with and her designs are amazing. Will definitely use her again. " "A pleasure to work with as always. I will continue to come back to this designer for her professional and prompt approach. All work is completed with high quality. Thank you." "Superb design! Fantastic designer who delivered the winning design with her first submission! Amazing!" "Goreta was great to work with. 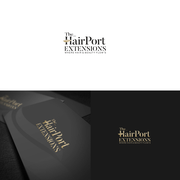 She was responsive and designed a fantastic logo for me, with a very quick return time. Highly recommend. " "We are a USA based Outdoor furniture company and hired Goreta for Branding. We are more than thrilled with what we got from Goreta. She is also very patient while dealing with revisions. Absolutely recommend her. " "We didn't even know exactly what we were looking for when we started the campaign. When Goreta submitted a design, it was over! Her desing was what we didn't know we were looking for! We are thrilled with her work and her efficiency. 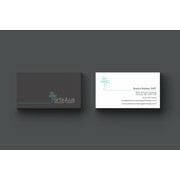 Would recommend fo..."
"I love that Goreta took her time... My design was everything that I was looking for in my logo." 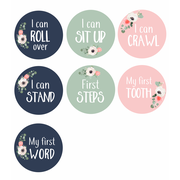 "LOVE the cute designs, fabulous designer to work with again. Absolutely recommend!" "Always love working with Ana! Will always come back to her with any changes to existing projects or any new projects in the future! " "Goreta knew what I wanted before I did! Perfectly simple and sophisticated. Great response and never complained about my changes even though they basically went around in a circle! Wonderful to work with and would absolutely recommend to anyone looking..."
"Great job Ana! Well done." 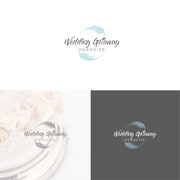 "I had a real crush on the work of Goreta on Pinterest, I contacted her to create a company logo and I'm not disappointed. She did a great job, she met my expectations and in addition she was fast. A big thank-you!" "This designer was AWESOME. 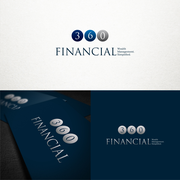 Loved the final logo, brand guide and business card. Would love to continue working with this designer in the future. " "Couldn't fault the work. Extremely efficient as usual and very prompt at all communications." "Great design, thank you very much." 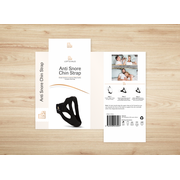 "Great design and easy to work with! Will use goreta again!" "Thank you once again. Extremely prompt. " "Goreta was amazing, did a great job and was very responsive with all revisions. Highly Recommend!" "Great communication and timing of work. Very fast responses!" "Goreta's work is wonderful as usual"
"Ana, is the BOMB!🎉🎉🎉🎉 This is my second project working with Ana. I must say it is truly a Blessings 😇to select someone you do not know but communicate through email and trusting in good faith, I must say Ana is truly the REAL DEAL because I am a very ..."
"Ana is AWESOME! Excellent services, patience, and attentive. I am very happy and pleased with custom logo design. I am looking follow to hire for next project. Thank you! Miami, Florida"
"Very easy to work with. Any changes, requests, goreta will accommodate in a timely manner. My expectations are usually high, and goreta exceeded them all. I will work with goreta again in near future, as I know I will need future work again. Thank y..."
"Fast-response and sensitive designer! Very happy to work with Goreta!" "So impressed with the whole process! Ana took a very descriptive words and turned them into exactly what I had imagined! ...and with such a quick turnover! Thank you!!" "I like the design, Goreta did a great job." 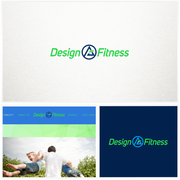 "Created a great logo, responds quickly and adapts to any requested changes. Would defo recommend to others"
"Great to work with and will definitely use again. Thank you." "Once again, great job. Thank you." "Extremely prompt with great communication and always willing to make changes until we have the perfect final design. Thank you." "Very happy with the project." "Fantastic Job! Great Work. Great Listener." "Goreta was fantastic. She was the front runner from the start. Once selected she was great to work with and turned around any edits quickly and efficiently. We are very happy with the work." "goreta nailed our design concept right from the beginning. She's extremely talented and after selecting her logo design we used her again for another project immediately. 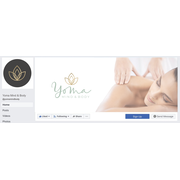 She communicates quickly and clearly and made our requested revisions right the fi..."
"Website is carefully designed to match logo style and intent for business. 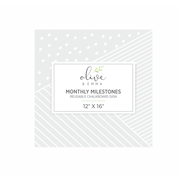 an has responded to each request and checked in to make sure I am happy at each step." "100% would recommend and work with again. Great work, super fast and communicative. " "Extremely happy with my final logo. This designer was very prompt, thorough and more than happy to make revisions when requested. This designer understood my brief well and came up with the ideal logo." "Ana changed the designate suit my taste and be more in line with the logo and brief." "Fabulous work, my favorite designer!" "Fantastic interpretation and attention to detail. Created exactly what I requested and very quick to respond to requests. Thank you!" "Love love the design and the reaction I get from everyone who sees it confirms my choice :) Thanks Ana for a great job and for truly understanding what I was looking for at each stage." "My design is authentic and depicts what my business is about without being overbearing and too obvious. Goreta was so easy to work with and responded very quickly to all of my concerns." "Ana is so creative in such a powerful and feminin way. She was very easy to work with, I can highly recommend"
"Beautiful work as always - will continue to work with Ana on future projects!" 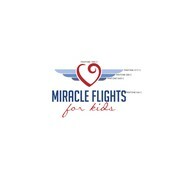 "Ana did a fantastic job creating out logo! We had concerns getting our idea across to designers and if they would be able to understand our vision. Ana had no problem at all. Right from the beginning she was able to deliver designs that we were blow awa..."
"I really love how original and authentic your design is. 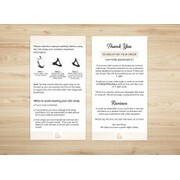 There was a huge gap between you and any of the other designs I saw, thank you!" 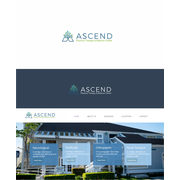 "Great work, beautiful design and very responsive!" "This is my second project with Ana and is my go to designer. She is very talented. Such a pleasure to work with. " "Goreta was responsive and accommodating to my requests and feedback. Gave me great insight and her edits to our logo made it pop. I look forward to working with her again in the future." "Very professional. Responsive to feedback. Works quickly. Our organization is thrilled with her designs." "Very good experience! Was able to come up with exactly what I was looking for. That says a lot because I am admittingly very picky." "Goreta has been amazing to work with. I am very pleased with her beautiful work and her efficiency. Thank you so very much, Jenni"
"Love Ana's work! She completes/modifies designs until the service is satisfactory. Proud to have her as apart of my company's image-my go to designer on 99designs!" "Terrific work! Thank you for being so quick and responsive to our needs." 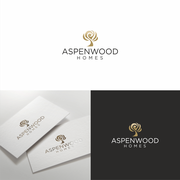 "I really enjoyed working with this designer. Responses were prompt and they quickly addressed my comments. The design was perfect." "Very helpful. Went back and made several revisions until it was perfect. She was very patient and a pleasure to work with. Thanks! " "We are delighted. goreta is an exceptionally talented and professional designer. " "It was pleasure working with Anna again." "Did my original logo and I needed a secondary one....great job once again and very timely!" 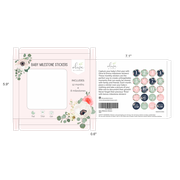 "I enjoyed working with Ana and she created a beautiful business card after providing many "winners" to choose from on both sides of the card." 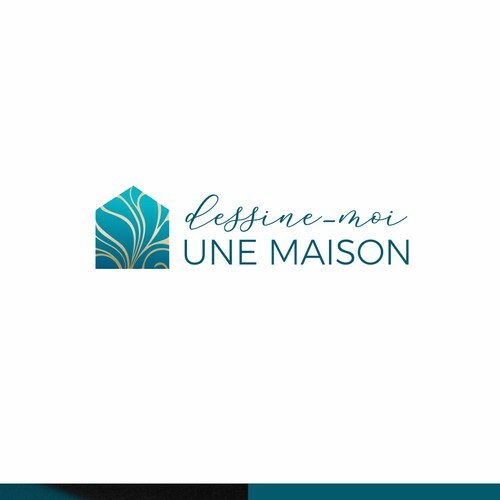 "The logo update project was completed quickly, at a reasonable price, and very much to my satisfaction. Thank you!" "Great job! Goog communication, excellent result." "Excellent job. Very professional and quick turnaround. Would use again." "I wasn't sure what I wanted, but, like a true professional, she translated my brief into the image that resonated with me. Extremely easy to work with and provided a very quick turnaround. I'd hire her again in a heartbeat!" "Excellent designer!! Very talented and patient. Never complain anything even I have change idea many times during the pocess. It's my pleasure to work with you. Thanks"
"Great designer and easy to work with! She was extremely flexible and understanding of our needs. Hope to work with her again!" "This is the second time I have worked with Ana and I was more than satisfied with the original work that she did. Again, she knew exactly what I was looking for-highly recommended. " 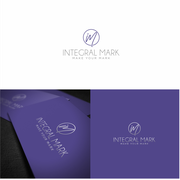 "Very pleased with the job Ana did on my logo design. Went above and beyond." "Ana did a great job at drawing the design I had imagined. She was easy to work with and punctual." "Great designer. Listens to input. Does remarkable work"
"Great design, Very responsive and quick to edit designs. Great JOB overall "
"Loved the design! Nailed it on the first try. Excellent work, we are very happy!" "Goreta did an outstanding job on completing our project!" "Highly recommended! Great creativity , very patient and she listens and understands your requests. Is a pleasure working with her. Thank you Ana for my beautiful logo :)"
"amazing. no words to describe. " "Goreta was great to work with. We truly had a great experience. Thank you!" "Great work once again! Pleasure to work with." "Goreta it a fantastic designer with quick response time. She made my concept a reality." "Easy, fast, great work again. Great communication. I'm a fan!" "Ana is wonderful to work with! Thanks again!" "Amazing job. Better than I imagined it would be. Turn around time was very quick as well. I will be hiring goreta for many more projects to come!" "Fast! She did a good job making my idea into a logo. " 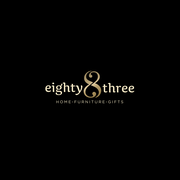 "Very good Service! Thank you!" "Excellent work. Very talented designer and really open to feedback and exploring different ideas. Thanks Goreta for a great design." "Ana with Goreta Designs is exactly every entrepreneurs dream. After a long explanation of what I was seeking , which was to implement my own design from my jewelry into a logo, and add a element touch to it, she nailed it. I was racking my brain for mon..."
"Excellent designer - always pleased with Goreta's work"
"Always a pleasure! 5 star"
"High Talented & Exceed our expectations !" 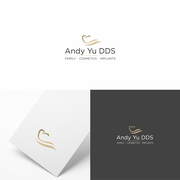 "The project was logo design and there was good communication through out the hole project. The end result was an amazing logo, great service and a satisfied customer. " "The job could not have been better!! The designer listened to what was important to us as a customer and created a lovely design out of our priorities and basic ideas. We received several suggestions to choose from, and when we wanted to make minor..."
"Perfect designer & very good response"
"Job went very well. 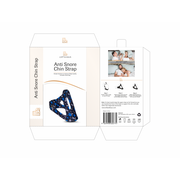 I am very happy with the product and have been using it for over a year now!" "Ana is very professional and provides excellent designs right from the start. She will tweak and adjust the design as much as needed promptly and professionally. 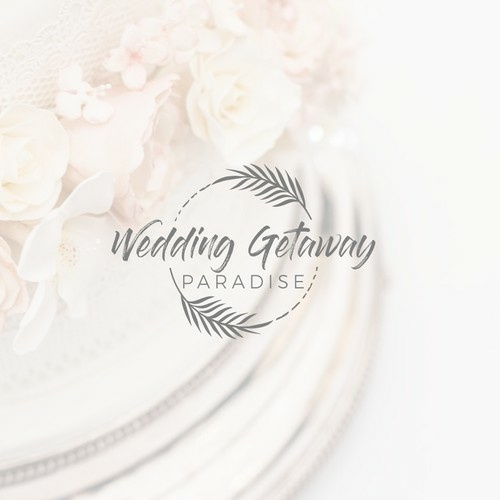 This is my second time using her services and I will be sure to return anytime I need desig..."
"I am so happy with the design that Ana made for us, its perfect! Working and communicating with her was seamlessly easy, every request met. I would highly recommend. THANKS ANA! " "Top notch work and super fast response. It is always great to work with this designer. " "Ana developed a beautiful, luxurious and uncomplicated visual identity for our new business. Besides being a talented designer, we found Ana to be a delight to work with, she was very responsive and always happy to make 'final' changes to ensure the de..."
"It could have been better "
"Fantastic design for the front and back covers of our company brochure! Thank you so much for everything you did in the past few weeks. " "Thanks, Goreta, for everything you did. We have a 1-to-1 service with Goreta in logo design. She always responds our demands promptly, even in weekends. We highly recommend working with this designer. This is our first time in using 99designs. Goret..."
"Awesome job on our logo." 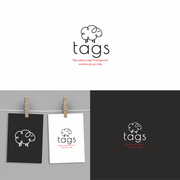 "We got a very beautiful logo design for our start up company. Goreta was the first participant and we loved her design from the start. We didn't had to change a lot on it, it was just perfect! Goreta doesn't interact a lot but on this project it wasn't ..."
"Thank you, great work as usual." 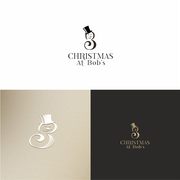 "Great design, beautiful logo. Thank you so much!" "Good work she doesn't talk a lot"
"Expert logo designer with very creative ideas. Great, professional communication as well." "Goreta was great to work with. I love her designing talent and picked her from hundreds of other top designers on 99 designs. I would definitely give her a try!" "Created a fraternity shield initially in another project and then made great adaptive uses. This designer is very hard working, responsive and patient. " "Very prompt and professional. Very very pleased with my first experience "
"Goreta had created by logo which is why I wanted to contract her to design the label. She was very responsive, easy to work with and made the changes as requested. " "Amazing talent and easy to work with. Will use again in a heartbeat!" "Very responsive and timely. Really easy to work with (and fun). I am very pleased with the process and the outcome of the work!" "Very talented and patient artist"
"Goreta designed an absolutely gorgeous logo for our new brand. She really understand my vision and takes direction very well. Works fast and is very responsive. She's been a pleasure to work with and I will definitely be continuing my work with her. " "She is a superstar! I have owned 3 advertising agencies and I would have loved to have her on staff. What a talent and great to work with. Fast turnaround time. She is now my go to designer!" "Goreta was great. Very accommodating after the sale as well. Good follow through, professional." "Amazing! I had a 7 day contest and her logo design was so good that I decided to end the contest on day 2!" "Goreta is a fabulous designer! She was extremely responsive and completely understood my vision for my logo. She turned around my files super fast and provided everything I needed to start branding my business. I strongly recommend working with her! I ..."
"Simplicity is the ultimate sophistication: Goreta solved a challenging task and was to able to transform the expression of an squirrel absorbed in smelling the perfume of a nice cup of coffee into some few essential lines. We love our new logo a lot and..."
"An excellent designer - she came up with exactly what I wanted. A delight to work with. 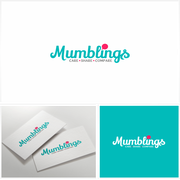 I am very happy with the stylish logo she designed for me." "Wow- when we started out our contest we had no idea how high the standard would be among the designers! Goreta was the stand out designer in our contest from the very start. Her flexibility to deliver on our requests, quick responses and her unique gift..."
"Fantastic experience. She went the extra mile over and over again. This is a professional designer in every way. She brought both design skills and creativity and ideas that nobody else did. Thank you!" "It was a pleasure to work with you. The multiple logos submitted we're in line with the brief, you listened to my feedback to create my winning logo. Changes were done quickly and communication was great. thank you." "It was such a pleasure to work with Ana Goreta. She was the stand out designer in our contest. Every entry was amazing it was so hard to choose a design that she created. We are so pleased and can’t wait to use our logo on our website. She had quick..."
"This is the first time I have used 99designs. My experience was very positive. 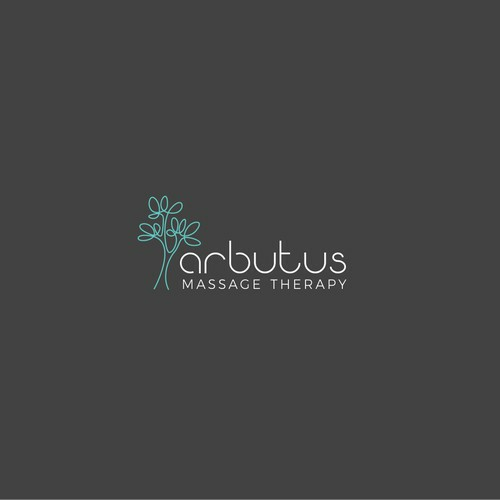 Goreta created a fantastic logo design for my new business. She paid attention to my comments and adapted her design accordingly. Goreta is easy to work with and eager to ple..."
"Ana was a dream to work with - responsive and considerate, with real artistic talent and a good eye for design. From my interactions with her, I can highly recommend her as a great design partner for your needs. I know I'll be using her again in the f..."
"Goreta did an AMAZING job designing our company logo. She is super patient and very talented. She patiently re designed over and over till we got something that was exactly what we were looking for. It was such a wonderful experience working with her an..."
"Goreta is an incredible designer. She really understood my vision and she was quick to make any changes I suggested. Sometimes I wasn't even sure exactly what I wanted so she's also great with using her artistic abilities to come up with some options I ..."
"Goreta was absolutely wonderful to work with! She took our feedback and applied it to her designs every step of the way, and ultimately created exactly what we were looking for! She presented her designs in such a way that we could actually picture th..."
"Working with Goreta was great experience. She responded to feedback quickly and willingly and her designs stood out from the others. " "Ana was a pleasure to work with...very professional and polite, and very willing to incorporate changes and suggestions. She was very attentive to the design brief, especially the colors we had in mind. A great experience!" "Thank you so much for a super design!" 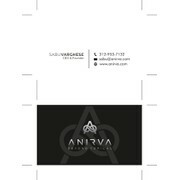 "It has been a wonderful experience working with Ana whose creative ideas have provided us with a wonderful new design. Her help did not stop there, though. Through a number of various changes and additions she has been very responsive in making sure w..."
"Goreta was very prompt and unique when it came to designing my logo. The moment I saw her first design, I knew it was the one! She was very easy to work with and I am very happy!" "Goretta has been absolutely wonderful to work with. I highly recommend her. Cheers Goretta! Ron and Mary Bitner Bitner Vineyards"
"We truly love our new design! It is everything we hoped for and more. We can highly recommend 99 deisgns, and the process, and in particular this lovely designer who fully understood our design needs even though at times we probably did not articulat..."
"Ana was great to work with, and had really good ideas from the very beginning. 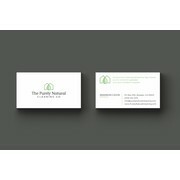 We are extremely happy with our business card and logo designs. We're looking forward to seeing them in print!" "Absolutely Stunning! So impressed with the design, I love it! You have created a brand for me that I really love looking at! Timeless, classy, sophisticated! Thank you :)"
"Goreta was a pleasure to work with and really "got" our brand. Not only did we get a great design (actually, many great designs), but Goreta also made many tweaks and variations so the end result would work for us. Goreta was extremely professional, q..."
"A great designer and a pleasure to work with! I would happily use goreta again for any future projects." "Very patient and easy to work with, would love to work with Goreta again :) cheers"
"Working with "goreta" was a pleasure. Very professional, very fast, very creative. Would definitely recommend 99designs to others. " "Goreta, Did a excellent job on my logo. I found her to be very talented in her work. I asked for the Logo to be...elegant, high end and and stating "to give endearing love" I believe she achieved this in her design. 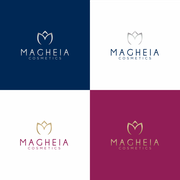 The logo represents everything I ..."
"Goreta was fabulous to work with and far exceeded my expectations with the logo she came up with. She was so patient as she gave me so many fantastic choices of colour it was difficult to choose! What a talented professional she is! You will be very ..."
"Really happy with the designs - Goreta's designs were by far the best quality of designs submitted in the competition i held and she provided multiple versions of the logo for me to use across various formats. Very professional and a pleasure to deal w..."
"It is our pleasure to highly recommend Goreta, who we found to be an extremely professional, talented and dedicated designer. Goreta ensured she understood our brief from the outset and responded precisely and quickly to feedback. After her win she re..."
"Fantastic ideas and a pleasure to work with. " 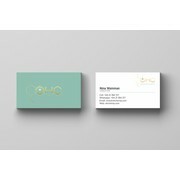 "Goreta is a creative and conscientious graphic designer. I am thrilled with her work. Thanks so much for making this process so professional." "Goreta was a wonderful and creative designer to work with. Not only did I love her design, but she worked with me to tweak it to perfection, We went back and forth several times and she was always very happy to make any small changes that I needed. I..."
"Ana was amazing! She was the first designer to submit a design for my contest and she understood the vision of my business right from the get-go. She was easy to work with, made all the tweaks I suggested, and stuck it out until the very end with only m..."
"Goreta is amazing! She captured exactly what I was looking for and fast! She really paid attention to my feeback and was super easy to work with. I knew from her fist submittal she as going to be my designer! " "Working with Ana was simply amazing! She understood my concept and was able to tweak her design to masterfully suit my desires. This was my first contest with 99 designs! I will definitely be a regular consumer and am telling all my friends and colleagu..."
"Goreta is fantastic! She's a talented, professional designer who is a pleasure to work with. She understands and delivers the needs and wants of her clients. She's patient, fast, easy to work with, pays attention to the details, and gets the job done..."
"Goreta was spot-on in crafting a visual ID that exudes the attributes of our brand. She was very attentive to the slight details, giving the logo that personal touch we like so much. The interaction and handover was real smooth and flawless. What more ..."
"Great job you did on our logo, it has been a pleasure working with you!" "Ana did an amazing job in a very short amount of time for our contest. Not only was she the fastest in getting the design direction that we were looking for, she was also willing to iterate on the design based on our requests. 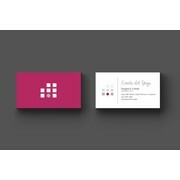 Could not be happier with ..."
"Goreta was very professional to work with, handed in many design suggestions and quickly understood what I wanted. Very helpful in the whole process, and I love my new logo :-)!" "There is good, and then there is fabulous. Clearly, goreta is fabulous. " "Ana was a leading contender from the beginning of the contest. She always took on board the feedback and gave variations, which ultimately helped her win the contest. We also had a slightly protracted contest due to travel and holiday periods and she wa..."
"Ana did a fantastic job. Whenever I would leave comments for revisions she would quickly respond and post new logos. As an entrepreneur/business person I need a creative mind and Ana often told me what she felt looked best. Ana is very quick, profess..."
"100% happy! fantastic design. The experience was very positive. " "We LOVE Ana Goreta!!!! She was awesome to work with!!!! She is so talented, she really got the style we were going for and was quick to make revisions to get the design just right. The design is amazing, I will be incredibly proud to hand my business..."